There’s a new mystery in the universe and it goes by the name KIC 8462852. It is a star approximately 1500 light years away from the Earth, and displays a strange pattern of dimming that has astronomers scratching their heads. With many natural causes apparently ruled out, there is even the suggestion that the signals could be caused by a giant structure, built in space near the star, presumably by extraterrestrials. The unexplained signals have been found in data collected by Nasa’s Kepler SpaceTelescope. The mission was launched in 2009 and was designed to find planets by looking for the small dip in light caused when a planet passes in front of the star and blocks a small portion of the light. It has been remarkably successful adding thousands of planets to the known roster. But in all the 150,000 stars that Kepler has monitored, none have ever looked like KIC 8462852. It stands out because the star dims so dramatically. Whereas a planet will drop the light by a percent or two at most, this star dims by up to 20 percent. Also unlike a planet, which orbits the star and causes the drop to repeat, these dimmings took place at random intervals during the 1600 days that Kepler was monitoring the star. Around the 800-day mark, the star’s light dropped by 15 percent, Then around the 1500-day mark, there was a flurry of dimming with one dropping 20 percent of the starlight. To fall that much, the object passing in front of the star must be almost half the diameter of the star. Yet Jupiter, the largest planet in our solar system, is only one-tenth the diameter of the Sun. To rub salt into the wound, KIC 8462852, is estimated to be about 1.5 times larger than the sun, making the necessary object vast indeed. So it cannot be a planet. Tabetha Boyajian, Yale University, led the investigations into the mysterious signals and found that the most likely natural cause was the break-up of a comet around the star. As the icy remains expand into giant clouds they could temporarily block out the light, causing the observed signal. But this should cause dust to scatter around the star, producing an excess of infra-red radiation that should be easily detected from Earth. As yet, no such signal has been found. According to the The Atlantic, Boyajian said that there were “other scenarios” that she was considering. And these are where the aliens come in. 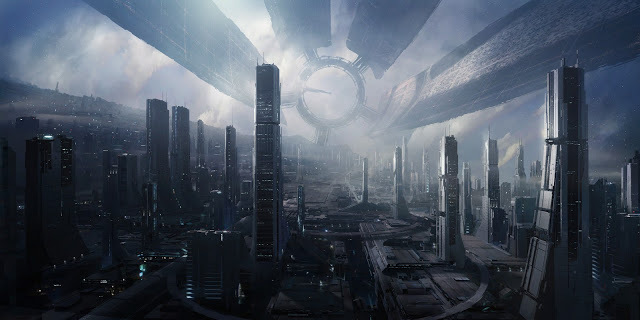 It would have to be a huge space station indeed to block out that amount of light, hence the epithet “alien megastructure” that is currently setting Google alight. This is not the first time that astronomers have speculated about aliens when confronted with an unexplained phenomenon. Famously, the discovery of rotating stellar corpses, eventually called as pulsars, were first suggested to be aliens. The researchers even cheekily labelled the reading ‘LGM-1’ for “little green men”. When hugely powerful gamma-ray bursts (GRBs) continued to defy explanation decades after their discovery, some suggested they could be the optical equivalent of a sonic boom, taking place because alien starships were accelerating to warp speed. The GRBs were eventually discovered to be exploding stars. A natural explanation is almost certainly the case here too. Many of the same objections to natural causes apply to the alien megastructure hypothesis too. Namely, the structure should be in orbit around the star and so should lead to periodic dips in the light. Also, if something is absorbing 20 percent of a star’s light, it is going to get hot and that means it is going to re-radiate that energy at infrared wavelengths but, as mentioned, no IR-excess has been detected. The only way to clear up this mystery is to make more observations. Boyajian suggests long-term monitoring from ground-based telescopes to look for a recurrence of the dimming events, and is working with Wright to use a radio telescope to listen in for alien broadcasts leaking from the system. My money is on comet collisions. But part of me hopes I’m wrong. Stuart Clark’s latest book is The Unknown Universe (Head of Zeus).